Sports saloon was performed with new front and rear lights, grille also gets a new twist so much fresh. 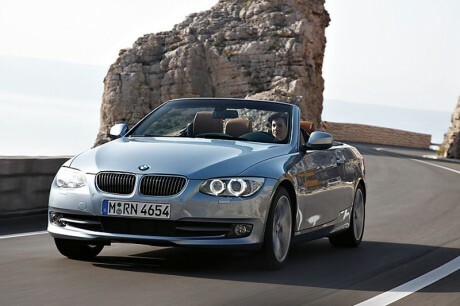 BMW 3 Series Convertible is longer than the predecessor model. The roof can be opened electronically in 22 seconds. Cabin equipped with Harman Kardon entertainment system alerts, which supported 11 speakers plus 420 watt amplifier. IDrive also attached to the monitor On-board monitor with TV and DVD functions - connect 8.8-inch screen. BMW 2.5-liter engine buried powered 218 hp at 6500 rpm and 250 Nm of torque at 2750 rpm. Acceleration 0-100 kph to within 8.4 seconds. 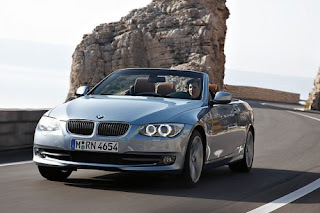 2011 BMW 325i Convertible price of Rp 988 million (ofr-Jakarta).